Motion blur simulates the effect where fast-moving objects look blurry or streaky on film because an object noticeably changes position while the camera shutter is open. Mantra supports three types of simulated motion blur. The type you use depends on what type of animated geometry you want to blur. Transform motion blur simulates blur by interpolating an object’s transform between frames. This is the default type of blur applied to all objects when you turn on motion blur. 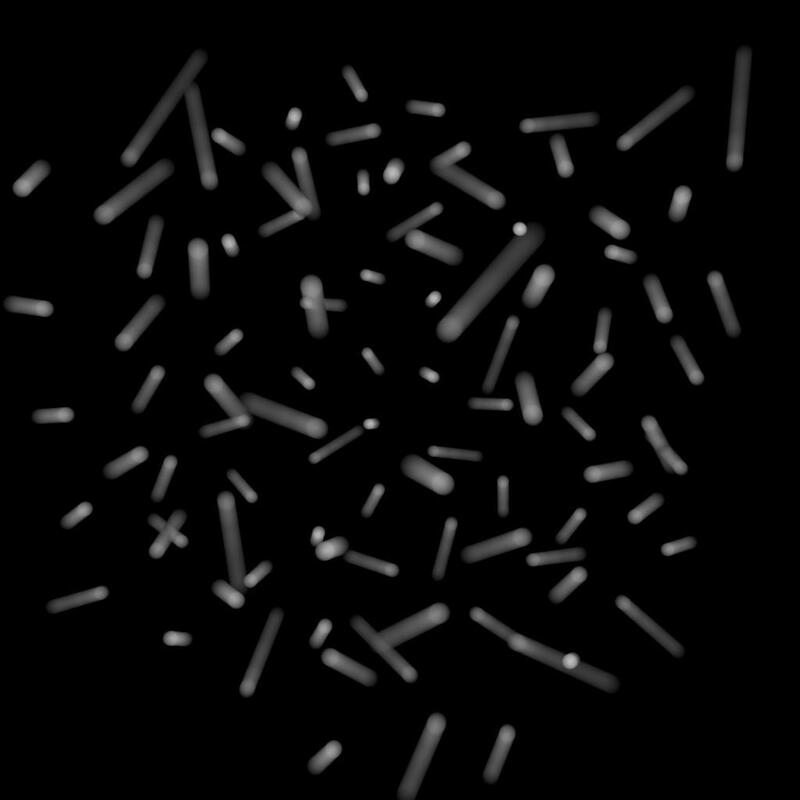 It is cheap to compute, but it doesn’t blur deformations, that is the object’s geometry changing shape over time. Deformation motion blur simulates blur by re-cooking an object’s geometry between frames. You control it with the geometry motion samples setting. This is necessary to properly blur deforming geometry. This is relatively expensive to compute, since Houdini must cook the geometry and send it to Mantra for each additional segment of blur you want. Deformation blur also lets you blur attribute change over the shutter time. For example, if point colors are changing rapidly as the object moves, you can blur the Cd attribute. You must explicitly specify which attributes to blur using the Motion Blurred Attributes property. Velocity motion blur simulates blur by interpolating point positions based on velocity (v) and possibly acceleration (accel) and/or angular velocity (w) point attributes. This type of motion blur is necessary when the number of points in the geometry changes over time, such as in a particle or fluid simulation. See velocity motion blur below for more information. On the Mantra node, turn on Allow motion blur on the Rendering tab. This will reveal three additional parameters: Xform time samples, Geo time samples, and Shutter offset. This is the "master switch" for simulated motion blur when rendering. 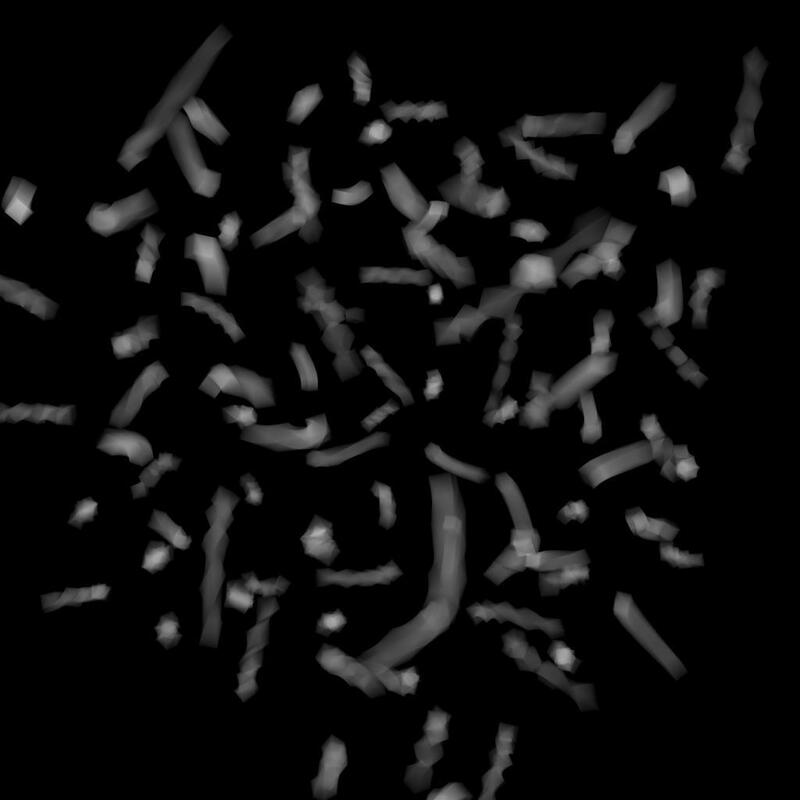 Turning it on enables transformation motion blur (blurring by interpolating each object’s transforms between frames). You can set the number of transform blur samples using Xform time samples. To enable deformation motion blur, increase Geo time samples. The number of samples to compute when rendering transformation motion blur over the shutter open time. The default is 2 samples (at the start and end of the shutter time), giving one blurred segment. If you have object moving and changing direction extremely quickly, you might want to increase the number of samples to capture the sub-frame direction changes. Transformation blur simulates blur by interpolating each object’s transformation between frames, so it’s cheap to compute but does not capture surface deformation. To enable blurring deforming geometry, increase Geo time samples. The number of sub-frame samples to compute when rendering deformation motion blur over the shutter open time. 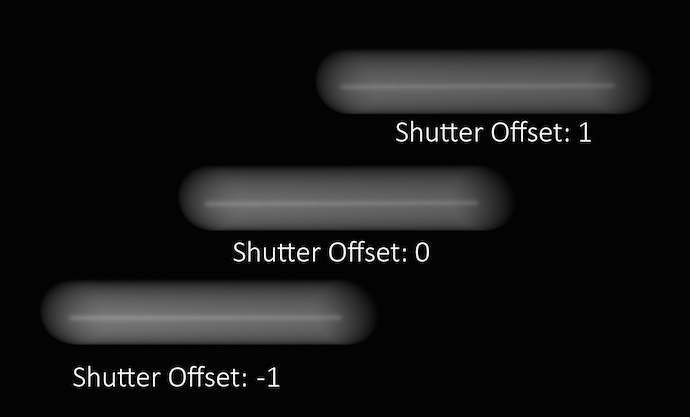 The default is 1 (sample only at the start of the shutter time), giving no deformation blur by default. If you want rapidly deforming geometry to blur properly, you must increase this value to 2 or more. Increasing the number of geometry time samples is relatively expensive because Houdini must cook the sub-frame geometry and send it to Mantra. "Deformation" may refer to simple transformations at the Geometry (SOP) level, or actual surface deformation, such as a character or object which changes shape rapidly over the course of a frame. Objects whose deformations are quite complex within a single frame will require a higher number of Geo Time Samples. Increasing the number of Geo Time Samples can have an impact on the amount of memory Mantra uses. For each additional Sample, Mantra must retain a copy of the geometry in memory while it samples across the shutter time. When optimizing your renders, it is a good idea to find the minimum number of Geo Time Samples necessary to create a smooth motion trail. Deformation blur is ignored for objects that have Velocity motion blur turned on. This parameter controls which segment of time will be considered when generating motion blur. A value of 1 will use the current position of the object and the position of the object on the next frame as the time interval to use for motion blur. A value of -1 will use the position of the object on the previous frame and the current position of the object as the time. A value of 0 will generate an interval which lasts halfway through the previous frame and half way into the next frame. Adjusting this parameter is usually unnecessary unless you are attempting to match motion- blur which has been generated outside of Mantra (for example a photographic background plate). Controls where the blur occurs in the image relative to the position of the object at the current frame. A value of -1 blurs from the position at the previous frame to the position in the current frame. A value of 0 blurs from halfway to the previous frame to halfway to the next frame. A value of 1 blurs from the current position to the position at the next frame. You can use fractional frame values and values greater than -1 or 1 to move the blur less or more. To change the size of the blur, change the Shutter time (shutter property). This parameter replaces the old Motion blur style (motionstyle) parameter, which only allows values of "before" (shutter offset=-1), "center" (shutter offset=0), and "after" (shutter offset=1). The Motion Factor parameter is on the Dicing tab. Fast moving objects which have significant amounts of motion blur are rendered with the same sampling quality as slow moving or static objects. However, in cases where objects are very blurry, small details are usually lost. In these cases, it is a useful optimization to reduce the shading quality on those objects which are moving quickly since the loss in detail is hidden in the motion blur. Increasing the Motion Factor will dynamically reduce the shading quality of an object based on the rate of motion. This optimization is primarily useful for objects which are refined at render time like subdivision surfaces or objects with displacement-based shading. In the above example, you can see that the motion factor does not have a large impact on the quality of the final render. However, sometimes too much detail can be lost, especially in cases where much of the surface detail is generated by the shader. Objects whose shape is derived through significant amounts of displacement, for example. In these cases, the Motion Factor value must be adjusted carefully to retain a believable amount of surface detail. The exact motion factor used will depend on the degree of motion in your scene. For more information, see Motion factor on the mantra rendering properties page. Automatically adjusts the shading quality for objects which are significantly blurred. Increasing the motion factor of an object will dynamically decrease the shading quality based on the rate of motion. This can significantly speed up renderings of rapid moving objects. It also affects depth of field and may improve speed of scenes with deep depth of focus. Objects traveling more than 16 pixels within the frame will have their shading quality reduced by the above factor. For example, an object blurred over 32 pixels with a shading quality of 1 will have the quality reduced to 0.5. You should not use very large values for this parameter. Values between 0 and 1 are reasonable. When using the Ray Tracing or Physically Based Rendering rendering engine, motion factor will only affect the geometric subdivision for subdivision surfaces, NURBS/Beziers, or displacements and will not change the amount of shading. The Camera object has a Sampling tab which contains parameters related to shutter speed as well as depth of field. For Motion Blur, the relevant parameter is Shutter Time. The shutter time refers to the portion of a frame the shutter is actually open. On a physical camera, this if often referred to as Shutter Speed. The renderer uses this determine motion blur. The value should be in the range [0,1]. A value of 0 for the shutter time would mean that there is no motion blur at all, as the shutter is only “Open” for an instant. A value of 1 on the other hand would mean that the shutter is open for the entire length of the frame. In the above example the sphere is rotating a full 360 degrees over the course of a single frame. You can see how the length of the “motion trail” or “blur” changes based on the shutter time. In most cases, the default value of .5 is appropriate for animated sequences and a good match for real world settings. Keep in mind that this parameter controls the amount of time within a single frame, that the shutter is open. It does not refer to how long an individual frame is. To adjust the frame rate, change the Frames Per Second parameter in the Global Animation Options. 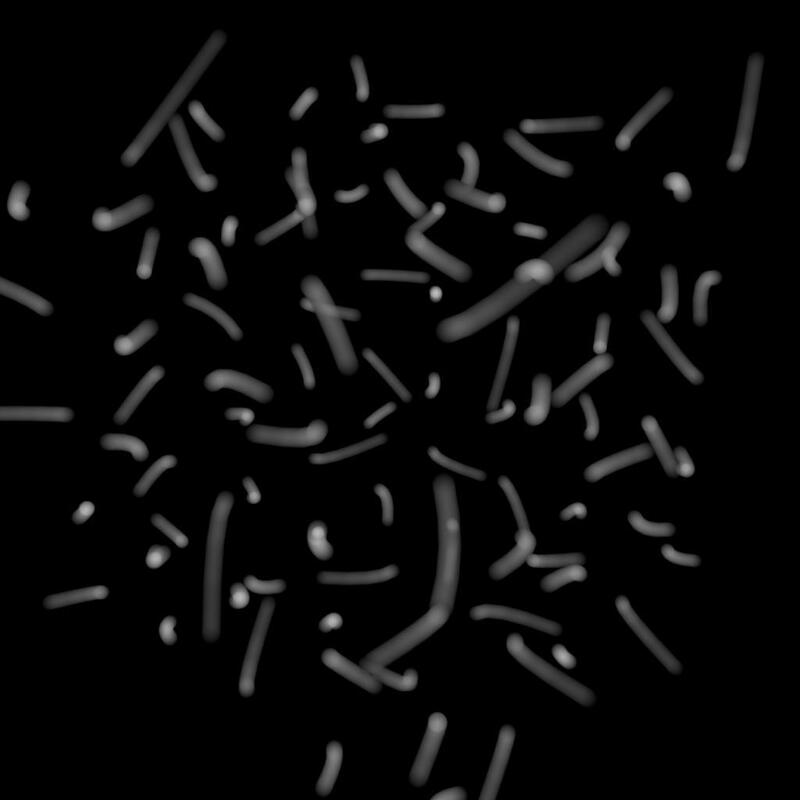 This type of blur is most useful for point-based simulations, such as particles and fluids, where the number of points changes as the simulation runs, and the solvers often automatically create the appropriate attributes for you. Another useful case for geometry motion blur is when you have large amounts of geometry whose animation is derived from Geometry (SOP)-level transformations or deformations. In these cases, using more deformation samples is not recommended because Mantra will have to store multiple copies of the geometry in memory. Instead, using motion blur is more efficient and uses less memory. This blur type is enabled per-object. To enable this capability, you must set the Geometry velocity blur menu on an object’s Sampling tab to "Velocity" or "Acceleration". If your geometry doesn’t already have v or accel attributes, you can measure and add them using the Point Velocity SOP. Since all of the objects in your scene can be moving at different rates or have drastically different amounts of sub-frame motion, it can be useful to sample specific objects at different rates than others. This can be especially important for deforming objects which may require high Geo Time Samples - isolating the most important objects can reduce memory overhead. Enabling Motion blur is a global setting on the Mantra node and can’t be set per object, however, reducing Xform and Geo Time samples to a value of 1 will essentially disable motion blur for those objects. Keep in mind that the motion of the Camera can also contribute to motion blur and can also have its own sampling rates applied.